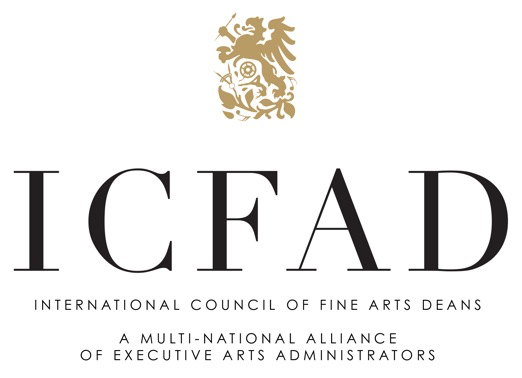 ICFAD is committed to supporting all arts administrators at all types of institutions. As a dean for the arts at a community college, you may be focused entirely on the arts, or you may lead a broader area in which the arts are just one piece of your administrative portfolio. In either case, ICFAD will enhance your ability to make the most of these vital programs. ICFAD has made a commitment to explore the intersection of interests between community college and university deans, bringing together people and ideas to foster arts programs that lead to transfer, completion, and professional practice. Likewise, many annual conference sessions provide direct help, training, and advice on issues that are faced by all: fundraising, accreditation, and advocacy issues, just to name a few. Deans from Community Colleges are encouraged to please click on the "Join Us" page to allow ICFAD to welcome you warmly.